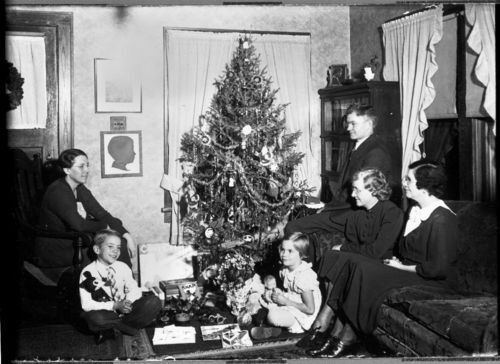 This unidentified family is gathered around their Christmas tree. The young boy is holding a stuffed toy that looks like an early Mickey Mouse and the girl is holding a doll. Other unwrapped toys are under the tree. This photo is probably from the 1940's. Item 211639 is similar but has just the two children in the picture.